My friend Tarah came over to my house for dinner and for dessert we had strawberry shortcake. She laughed when I brought out the Bisquick box, but she was completely shocked when I told her the only reason I buy Bisquick is to make the shortcake for strawberry shortcake. I learned this trick from my mother-in-law, Debbie. See, everyone loves strawberries, cream, and cake, but honestly, who likes to eat something after it becomes soggy? My family had always made strawberry shortcake with angel food cake, which doesn’t seem to hold up too well to pureed strawberries. The first few bites are amazing and then? I feel like the mush mixture is a little too scary to finish. On top of which it is just over-the-top sweet. Huh. I can’t believe I just wrote that phrase. It’s hard to believe in “over-the-top sweet”, but it is possible. Anyway, the first time I had these were at Mike’s house. We might have still been dating even, but his mom made these delicious strawberry shortcakes off the Bisquick box and I LOVED them. I’ve been making strawberry shortcake that same way ever since. Anyway, peaches have been on sale like crazy along with other fruits here in Michigan like blackberries, blueberries and raspberries. So instead of making strawberry shortcake, this week I made what I’m calling, “Summer Shortcake.” Basically it’s like all those delicious fruits on top of shortcake with a ton of Cool Whip and voila, super easy and incredibly yummy dessert. I used pureed peaches for this recipe, but I bet raspberries would be awesome too! Stir Bisquick mix, milk, 4 tablespoons of sugar and the melted butter until dough forms. 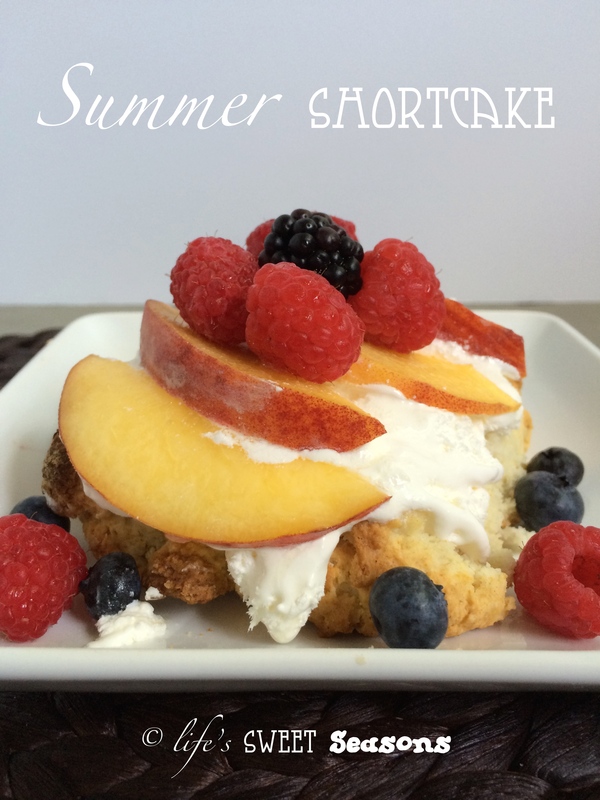 While shortcakes are cooking, slice the peaches. Puree 2 of the peaches in a food processor and add the other 2 tablespoons of sugar to the pureed peaches. Split the shortcakes in half and cover with a generous spoonful of Cool Whip. Arrange sliced peaches on top. 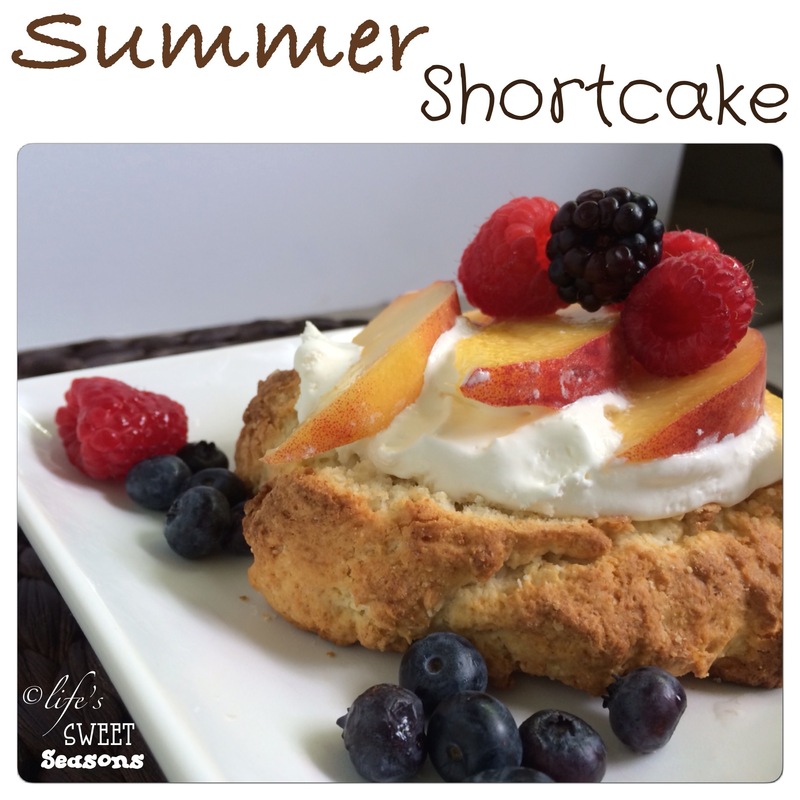 Add blueberries, blackberries, and raspberries to the shortcake. 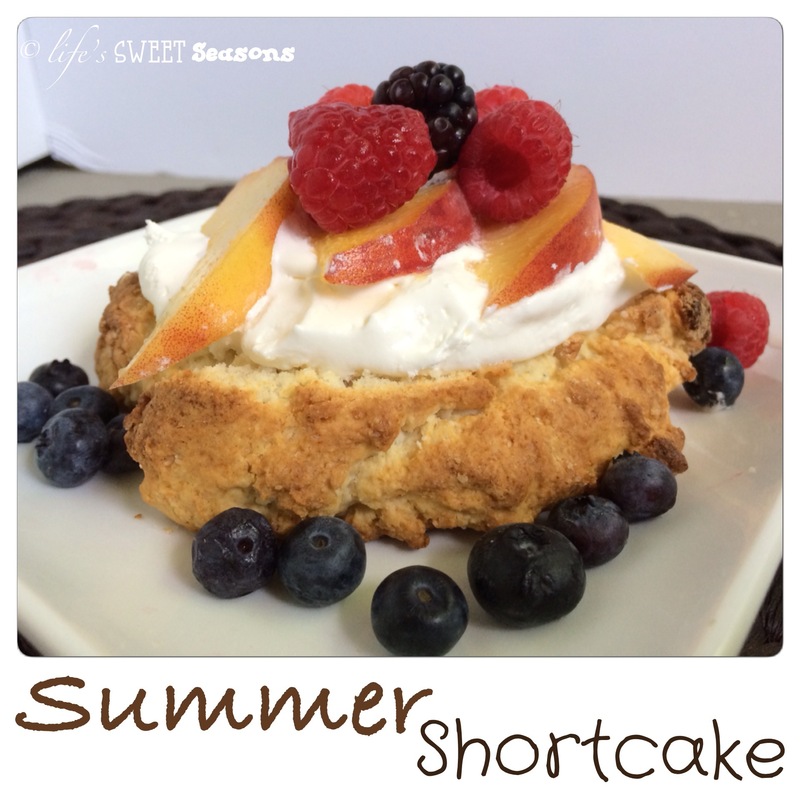 Drizzle peach puree over the shortcake and fresh fruit and enjoy!